At Christmas, we see that word everywhere, and it usually has glitter all over it. BELIEVE in the true meaning of Christmas.  At Sight.org, we BELIEVE in light. This week is the first week of Advent. During Advent, we spend time thinking about God’s light coming down to expel the darkness. Only light can cast out darkness. 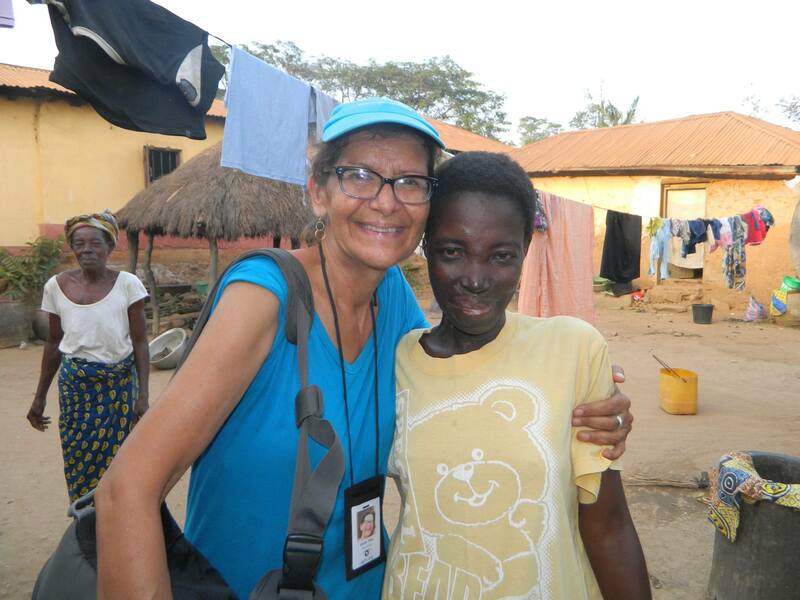 The people we serve and love in Togo are living in two kinds of darkness. They live in physical and spiritual darkness. 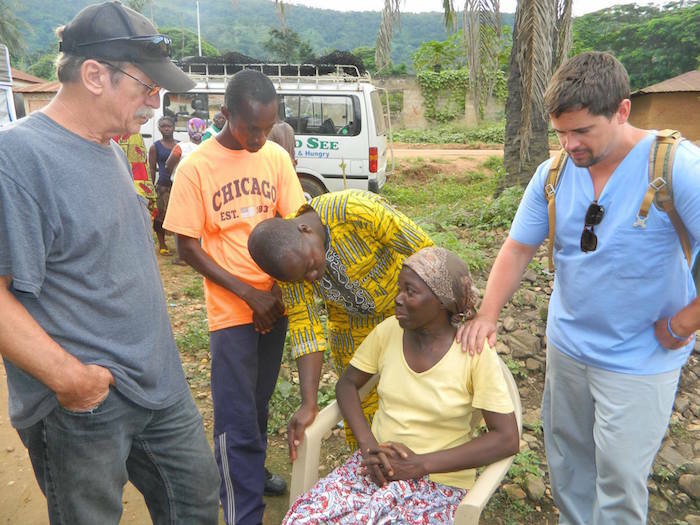 God has gifted us with an amazing medical staff and mobile eye clinic. They can take away that physical darkness within twenty-four hours. We could so easily focus on just the eye surgeries. It is truly amazing to see the transformation of a person going from visually impaired to complete sight. But we know that God has bigger plans for these people. This is Divi Gladys. 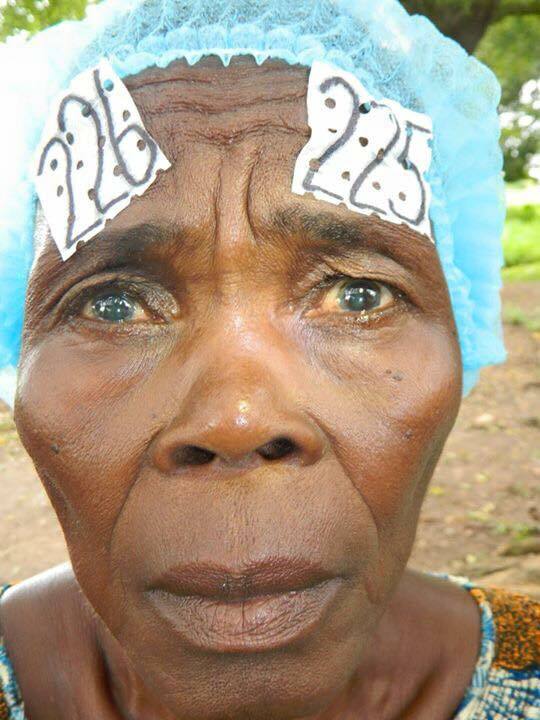 She is 65 years old and has been blind for 3 years. She used to be a tailor but could no longer work because she was visually impaired. 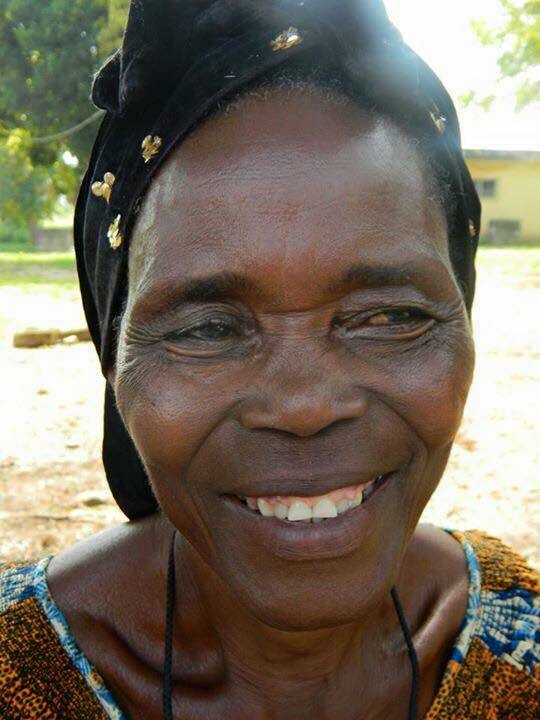 Now she can see again, work again, and live a normal life. Can you see the transformation in her face? Her physical darkness is gone. God uses these surgeries to open doors for the gospel. This is a woman named Malibow (or Malekpo). Our ministry team met her while showing the Jesus Film in the village of Adjahon. Many people in this village have received sight at our mobile eye clinic. Malibow does not suffer from visual impairment, but she does suffer from epilepsy. One of her seizures caused her to fall into a fire and burn herself. She asked our team to pray over her. Her epilepsy did not go away, but instead, she was overcome by the presence of Jesus. 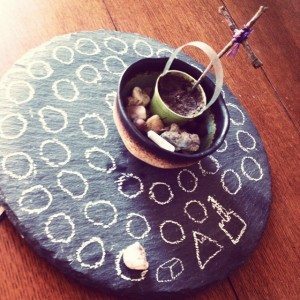 She became a believer that day and she has never been the same. Can you see the transformation in her face? The light of Jesus has entered her life and she has been changed completely. 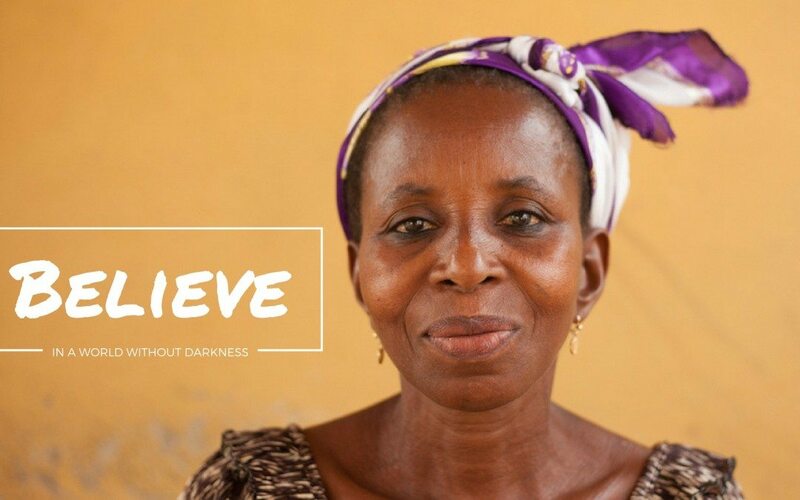 At Sight.org, we hold on to these words, “Believe in a world without darkness.” We feel that these words encompass what God has called us to do. Do you believe in a world without darkness? Do you believe that God’s light can expel darkness? God is doing this amazing work in Togo. He is being light in the darkness, both physically and spiritually. He is changing the lives of people all around us. But God is not just at work in Togo, He is at work everywhere you go. This Advent, let God be a light in your dark world. Let Him be a light through you. What will God do with your Lent? I grew up Baptist, so we didn’t do Lent. It wasn’t until I was in a seminary where 50 different denominations were represented that I started to even consider observing Lent. Our neighbors were Episcopal and they were fantastic! I was enthralled by their liturgy and I wanted to know why they refused to say “Hallelujah” between Ash Wednesday and Easter Sunday. It was confusing but interesting at the same time. They answered all my annoying questions and they even gave our family a copy of the Book of Common Prayer. There is something so beautiful about identifying with Jesus in his sacrifice. That is why people fast at Lent. We give up something because Jesus gave his life for us. We also identify with the poor at this time, as it says in Isaiah 58-61. It doesn’t matter what you fast from, just ask God what he wants you to give up and then do it for 40 days. You can take a break from your fast on each Sunday of Lent, since Sunday is a day of celebrating Jesus’ resurrection year round. So whatever you fast from, usually that will mean that you end up with extra money to give away. God gives us gifts, not to keep them to ourselves, but to give them away to others who need it more. Jesus gave his life for us, so we should give our stuff away in His name. Of course, I would love to suggest that you use this time to give to Sight.org to help the blind in Togo, Africa, but I won’t force that on you. Pray and ask God to show you where he wants you to give. In the time of fasting and giving, if you try to do it by yourself, that’s just a religious act. You have to be in constant prayer. Pray for God to help you keep your focus on him when you really just want that thing you are fasting from. Pray for God to humble you when you really don’t want to give your stuff away. Ok, and this is HUGE: confession. Lent is a time of confession and realizing that you are trash compared to the love of Christ. That’s why we start with Ash Wednesday. The ashes remind you that you are no better than dirt and that your sins are all consuming. When you come face to face with your darkest sins, you can then see the true beauty of Jesus and his death on the cross. I heard this quote today, “You can’t get the crown without going through the cross.” You have to confront your sin to understand your need for Jesus. I went to an Ash Wednesday service today and got ashes on my forehead for the first time ever. I was so overwhelmed by God’s presence when they put the ashes on me. In that moment, I was so overwhelmed by my sins yet at the same time in awe of God’s beauty. If you are looking for a great book to read during Lent, I highly suggest Show Me the Way by Henri Nouwen. Start small and see where God takes you. God has used Lent to transform me. So what will God do with your Lent? Happy Thanksgiving to all our wonderful supporters! All of these numbers were because of YOU! We can’t thank you enough.